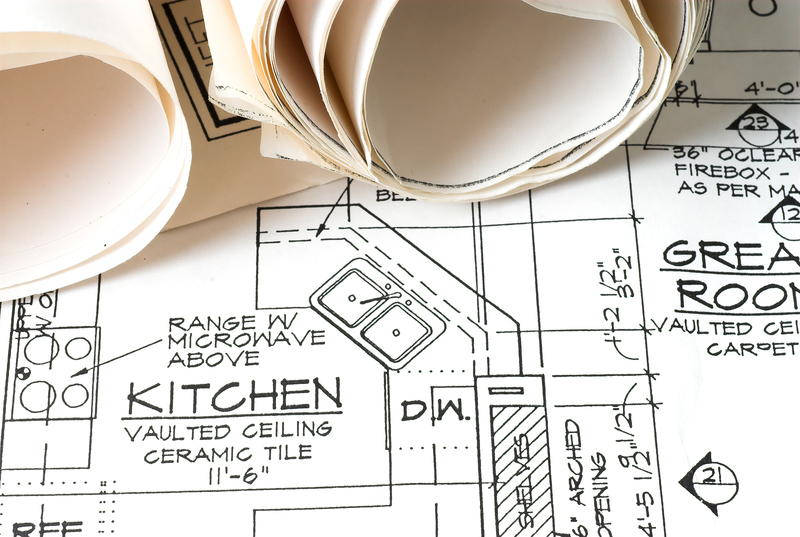 Remodeling your home can seem like a pretty unnecessary task to some homeowners. You may feel perfectly content in the house that you’re living in. However, sometimes when you see something every day, it can be hard to see the flaws in it. So, the next time you’re just sitting at home, take a better look around and see if you notice any of these signs. They may indicate the need for a home remodel. 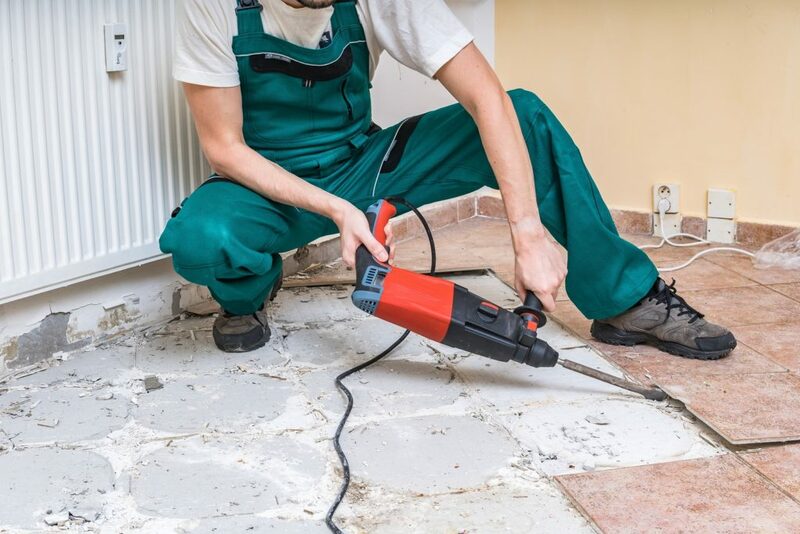 One of the more obvious signs that you are in need of a home remodel is the condition of your floors. If you notice that the tiles on your floor are starting to detach it could mean that the grout is breaking down. 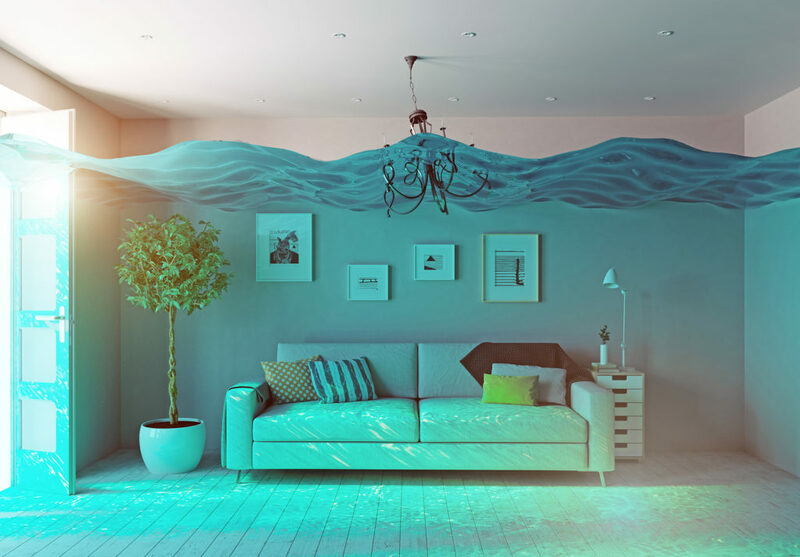 This tends to happen most often in kitchens and bathrooms, usually as a result of the excess moisture that the floors of these rooms can be exposed to. When you see this happening, it’s time to get new floors. Upgrading from tile to wood not only looks good but is great for the resale of your home. Keep an eye on carpeted floors in high traffic areas of the house, like by the front or back doors. Carpet can become worn out and dirty much quicker than tile or wood flooring. Replacing carpet with hardwood will enhance the appearance of your home and can make cleaning much easier. Do you all of a sudden feel cramped in your own home? As your family grows, the less space you have in your home. The next thing you know you’ve got two teenagers constantly yelling at each other because they’re stuck in a small bedroom together. 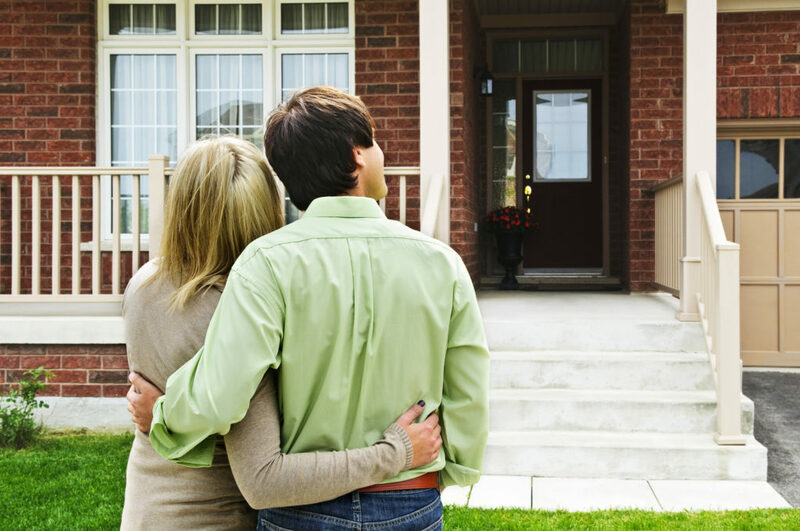 Making an addition to your home will help to create more space for you and your family. Maybe an extra bedroom isn’t what you need. 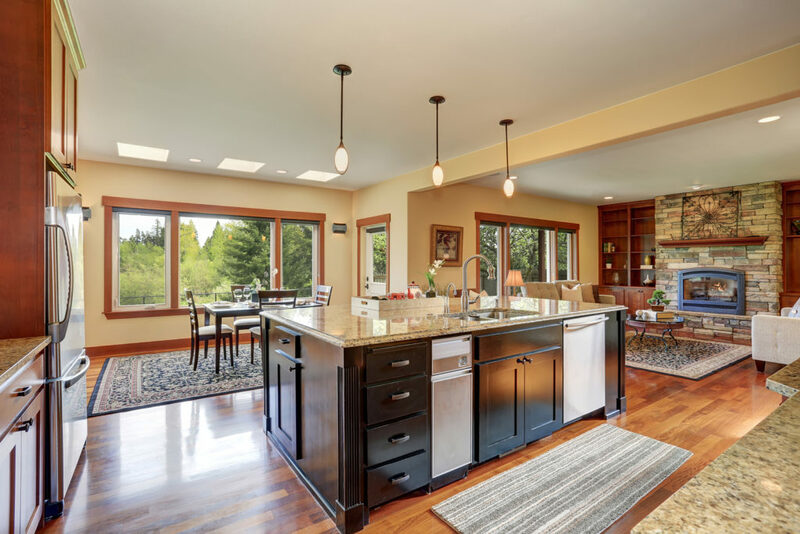 Simply knocking down a wall or two to create a more open floor plan can make your home feel much more spacious. On the other hand, sometimes you may feel like you have too much space in your home. Many people have that one room in their home that doesn’t get used for anything. A home remodel can turn wasted space into your favorite or most used room of the house. Turn that space into a movie room or maybe add a nice home bar for when you have guests over. No matter what you decide to add, making use of empty spaces in your home does wonders for your resale value. Take a look around your neighborhood. If your house is the same age as every other home on your block but yet it looks a lot older, it may be time to update. Having an outdated home in a modern neighborhood doesn’t do any good for your home’s curb appeal or value. Simply adding new siding to your home can resolve this issue. It’s like giving your house a facelift; you’re not changing much but all of a sudden your home will look years younger than before. One of the biggest signs that you need a home remodel is when you’re ready to put down roots. If you know you’re going to be living in your house for years to come, you want it to be a place that you absolutely love. Otherwise, you may never truly feel like that house is your home. Make sure your home truly reflects your personality. If it doesn’t, you may want to make some changes. They don’t have to be huge changes that are overly expensive but a few remodeling projects around the house can change the entire atmosphere. If any of these signs appear in your home, it’s time to at least consider a home remodel. 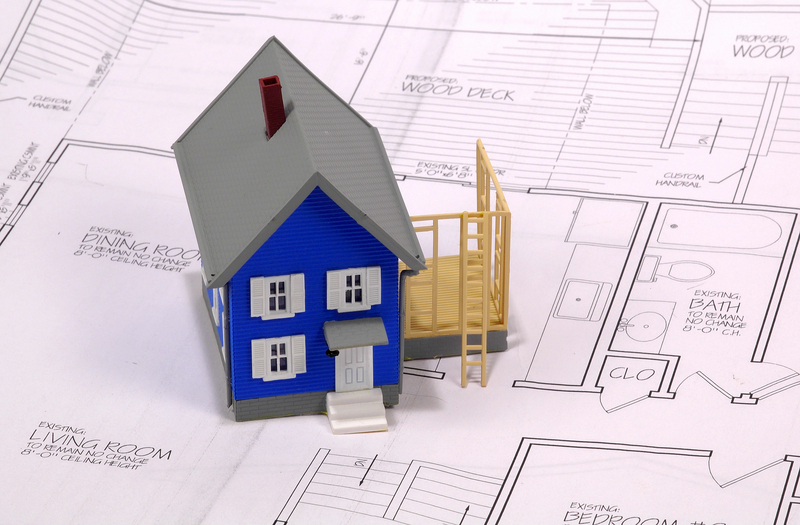 Not sure how to go about remodeling your home? Monetti Homes can help you every step of the way. 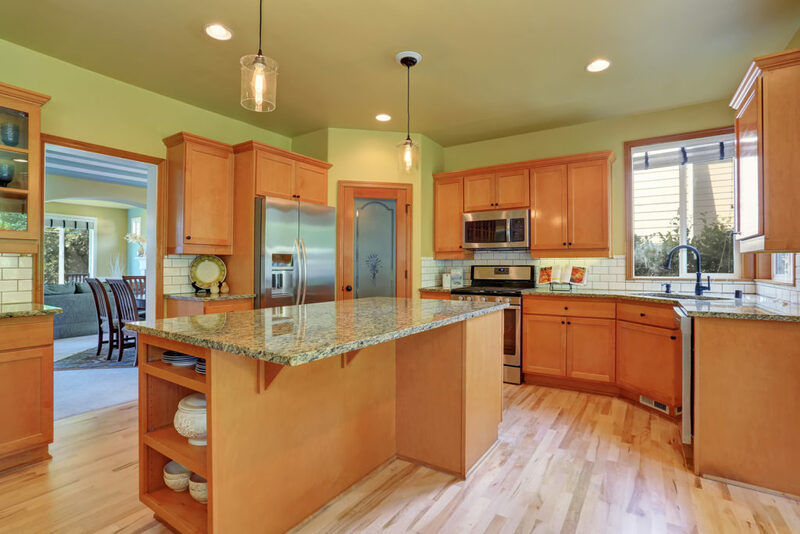 From the design process to post-construction services, we have the experience and skills necessary to make your house a home with any remodeling project. Take a look at our portfolio to see some of our past projects or contact us today to get started! Do you feel like there is something missing from your home? There are plenty of things you can add to your home without turning it into a full-blown construction site. With custom construction services, you can make a small addition to your home that will add that little bit of pizzazz that you’re looking for. Here are a few ideas for adding something special to your home. When it comes to adding a fireplace to your home, you have a few different options including electric, gas or wood burning. With an electric or gas fireplace, there is no need to have a chimney or flue. This makes them much easier to install and they require little to no maintenance. However, they can increase your gas and electric bills during the winter if you use them frequently. A wood burning fireplace, while a little more difficult and expensive to install, can help you save on energy costs in the long run. In the case of a power outage, a gas or wood burning fireplace can both help to keep you warm as well as bring some light into your house. A fireplace is a great addition to any home. It creates a cozy and warm atmosphere that the whole family will love during those cold and wet seasons. A fireplace is always a great way to set the mood for a romantic evening alone. 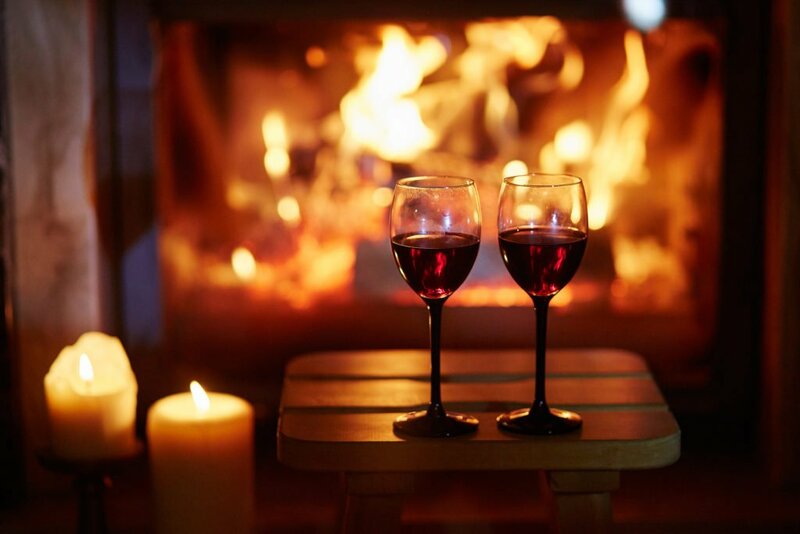 Pour some wine, sit by the fire, and enjoy. An outdoor shower can be a great little addition for any homeowner. Obviously, it is great for beach homes because it allows you to wash off all that sand before stepping foot inside. It’s also good for anyone with a pool. You can quickly wash off that chlorine as soon as you get out of the pool and change into fresh clothes without dripping water all the way through your home. Even if you don’t have a pool or live near the beach, there are still a few ways you can benefit from an outdoor shower. Having an extra shower is great for when you have numerous house guests. If you have young kids who love to play around in the dirt, an outdoor shower is a life saver. Or if you have a dog, use the shower to bathe them; it’s much easier than trying to keep the dog in the tub. 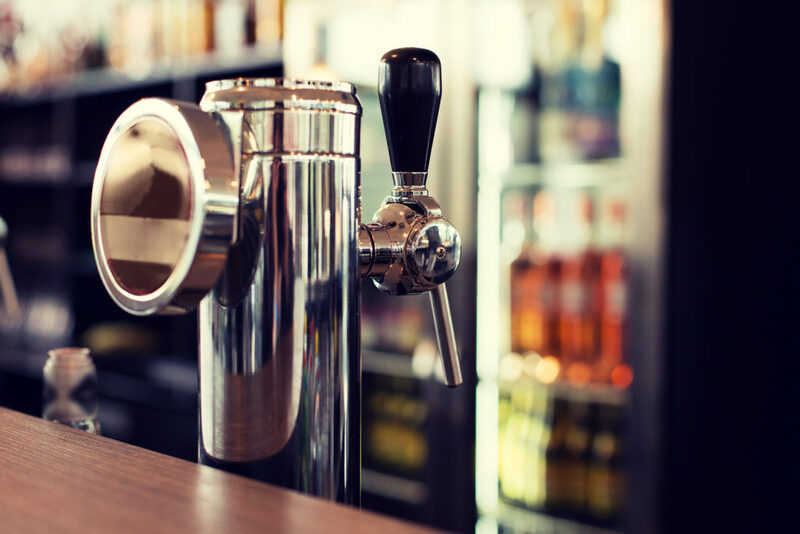 For beer lovers, there is no better addition you can make than a custom kegerator for your home. Having your own kegerator has a few benefits. One, you can save money. Buying a keg is like buying beer in bulk. You’ll get more for your dollar and it will stay fresher, longer. Sometimes a bottle or can of beer just doesn’t do the trick but a fresh, ice cold draft beer will hit the spot every single time. Have a custom kegerator built into the cabinets of your kitchen for easy access or turn your entertainment room into the ultimate party room. Invite all your friends over for the big game and let everyone enjoy some nice draft beer. No matter where you decide to have your custom kegerator installed, you won’t regret it. Whether you want a fireplace, kegerator or outdoor shower, custom construction services can help add something extra special to your home. At Monetti Homes, we can help you come up with a variety of creative ideas for your home. Take a look at some of the custom services we’ve done in the past or contact us today to get started with your idea. Trying to figure out the right time to do a remodeling project can be difficult. There are several factors that go into the decision including availability and financial standing. You have to figure out when you will have time to focus on a project from start to finish. That can be hard when the whole family is busy with their own schedules. 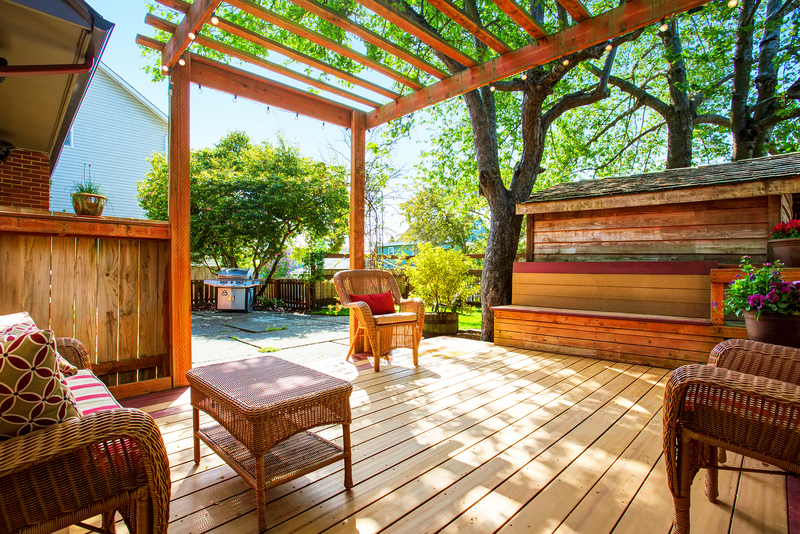 Most people think to start their remodeling projects during the spring or summer months. However, the winter season is actually the perfect time for several reasons. 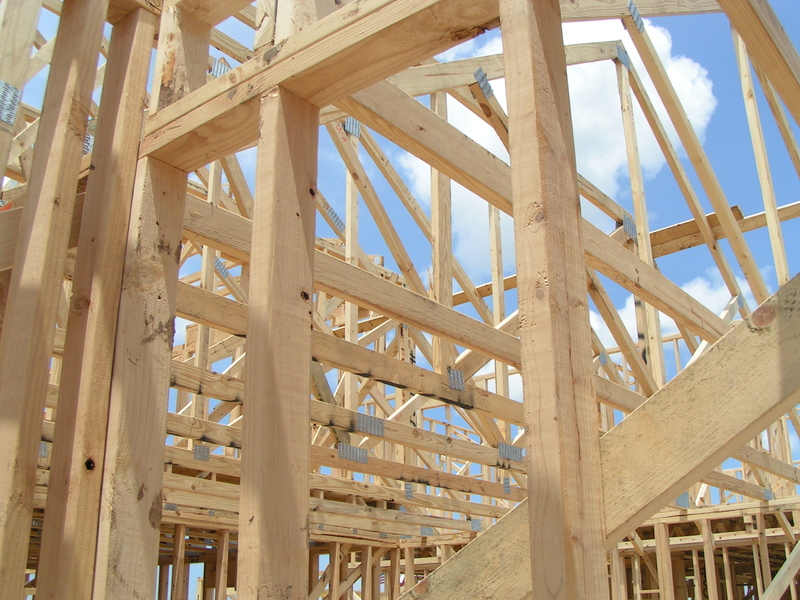 The busiest seasons for building contractors are typically during the spring and summer months. Trying to complete a remodeling project during those months can be frustrating. 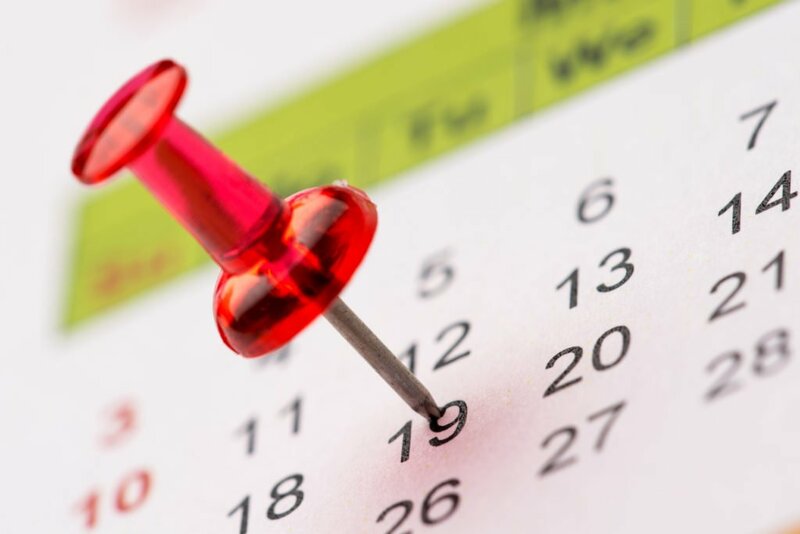 Scheduling a consultation with your contractor is hard enough during peak season. That’s why you should plan remodeling projects for the winter. 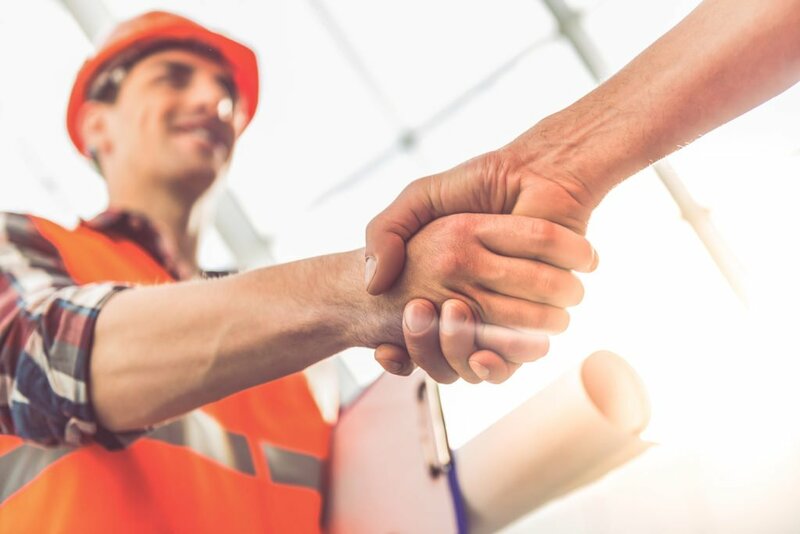 Contractors have much more flexibility during the offseason and can plan your project with you from start to finish, focusing on all the little details that really make a project great. If your remodeling project is going to require any sort of permit, it is best to wait until the winter before you file the request. Government agencies are not as busy during the winter and so you should be able to obtain the proper permits much faster than you would in the spring or summer months. More often than not, manufacturers will give special offers for materials during the winter months. They do this in order to relieve themselves of excess inventory during the slow months of the year. This is a big reason to start remodeling projects in the winter because you’ll end up saving a good amount of money, so take advantage of the lower prices. 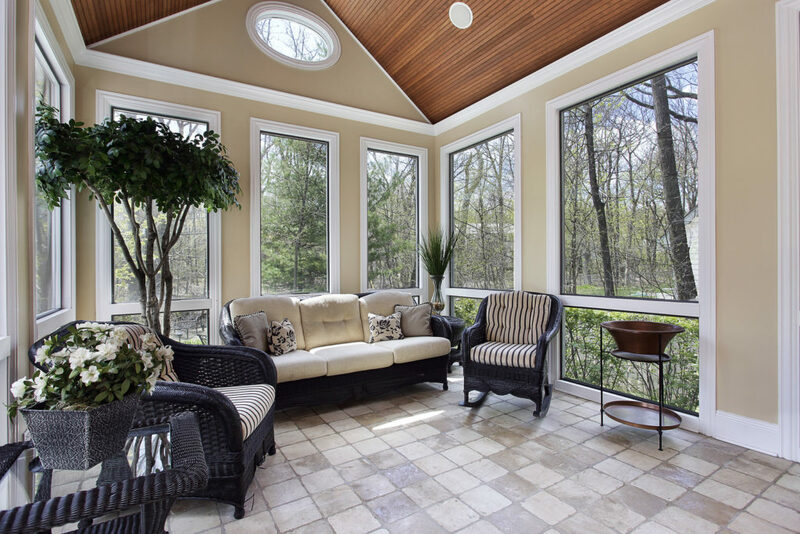 Even though winter is a great time to focus on interior remodeling projects because of the colder weather, that doesn’t mean it also isn’t a good time for outdoor remodeling projects. 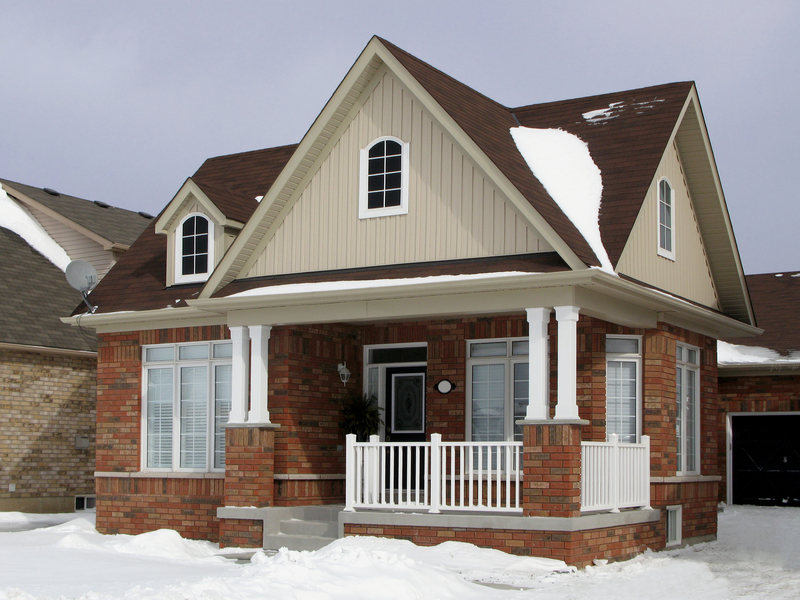 As long as there is no snow on the ground, the winter is actually a great time for exterior remodeling. Believe it or not, the ground being frozen actually makes digging foundations and pouring concrete much easier than the warmer, more humid months. When the ground is softer, it can lead to dirt and mud caving in. Winter is a great time to go on vacation. 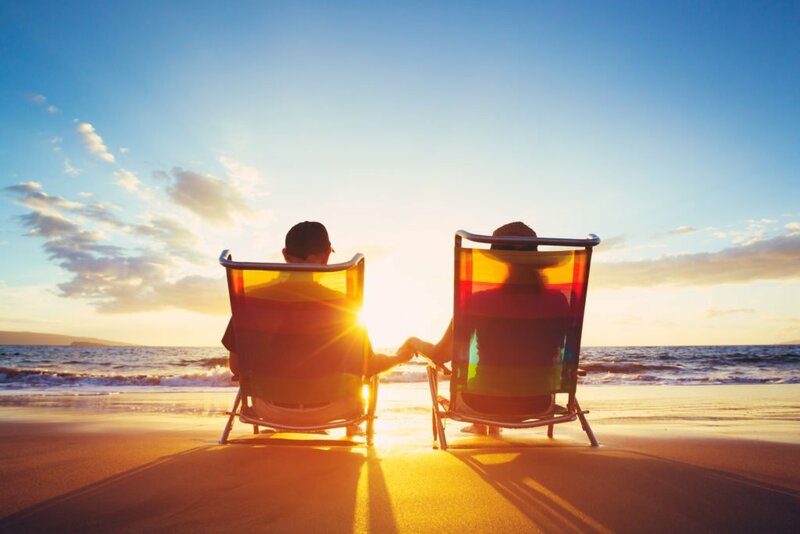 You get away from the cold weather and just relax for an extended period of time. It’s also a good time to kick your remodeling project into overdrive. Once you’ve planned everything out with your contractor, there is very little that you need to do during the actual construction process. Take advantage of that and go on a vacation with the whole family. There are a few benefits to going on vacation during a remodeling project. You can try to schedule your vacation around the more difficult parts of construction. This way you and your family can avoid the noise and chaos. Also, when you’re home, the contractor has to wait for certain times to commence their work as to not disturb your daily routine. With the whole family away on vacation, your contractor can work as efficiently as possible and get a lot of work done in a relatively short amount of time. Depending on the size of the project, the entire scope of work can be completed before you come back home. Now that you know why winter is a great time for remodeling projects, it’s time to start planning. 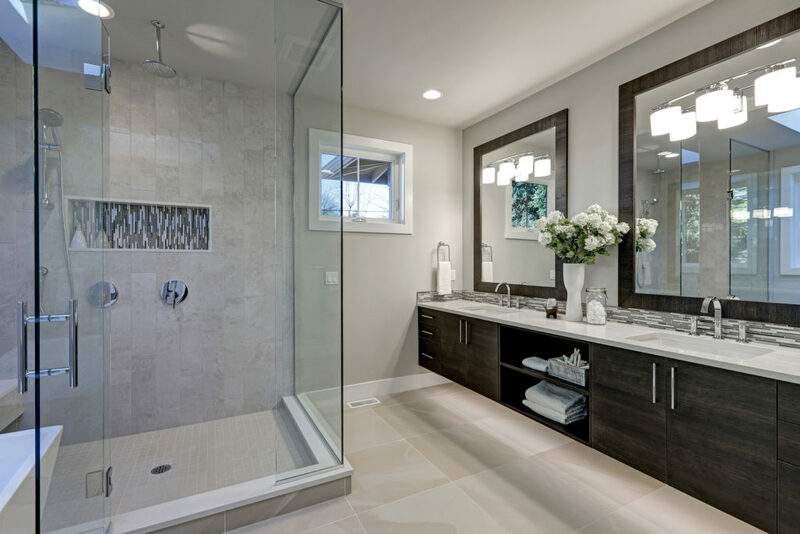 At Monetti Homes, we have the knowledge and experience to provide you with a completed project that is exactly what you envisioned. As a full-service building and construction company, we focus on quality workmanship with attention to detail. Take a look at our portfolio to see our past work or contact us today to get started! When you decide to remodel or add onto your home, you are faced with two different options for the project at hand. Option one is to do it yourself and option two is to hire a professional contractor for the job. Your first thought may be that completing the job yourself would be a fun project and a good way to save money. However, a majority of the time, hiring a professional contractor will be your best option for quite a few reasons. One of the most important benefits of hiring a professional contractor is that you can be sure that your remodel is done by the book. Your contractor will have all of the required licenses and permits needed for your remodel. 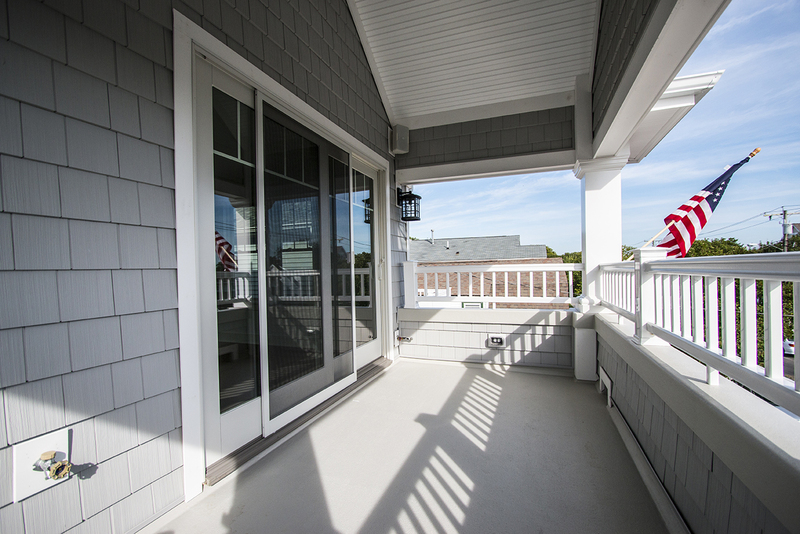 All phases of construction will be completed under the proper building code requirements. 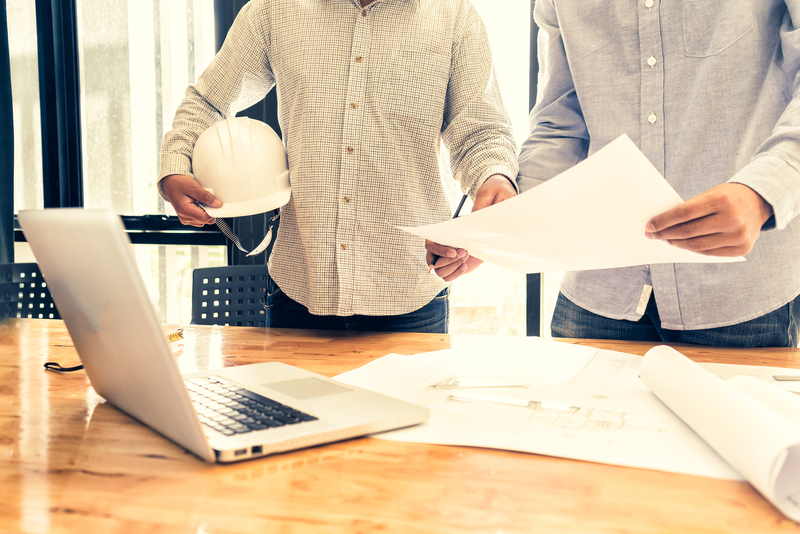 Most importantly, your contractor will have the insurance needed to cover any potential damage that could occur during the construction process. A well-established contractor will have built up a solid reputation in the industry. This way you can be sure that your contractor has the experience and skills necessary to complete the job. You can go on to a prospective contractor’s website to check out their portfolio of past projects. This will allow you to see all of the projects that they have done in the past and from this, you will be able to tell if they have the specific experience needed to complete your project. 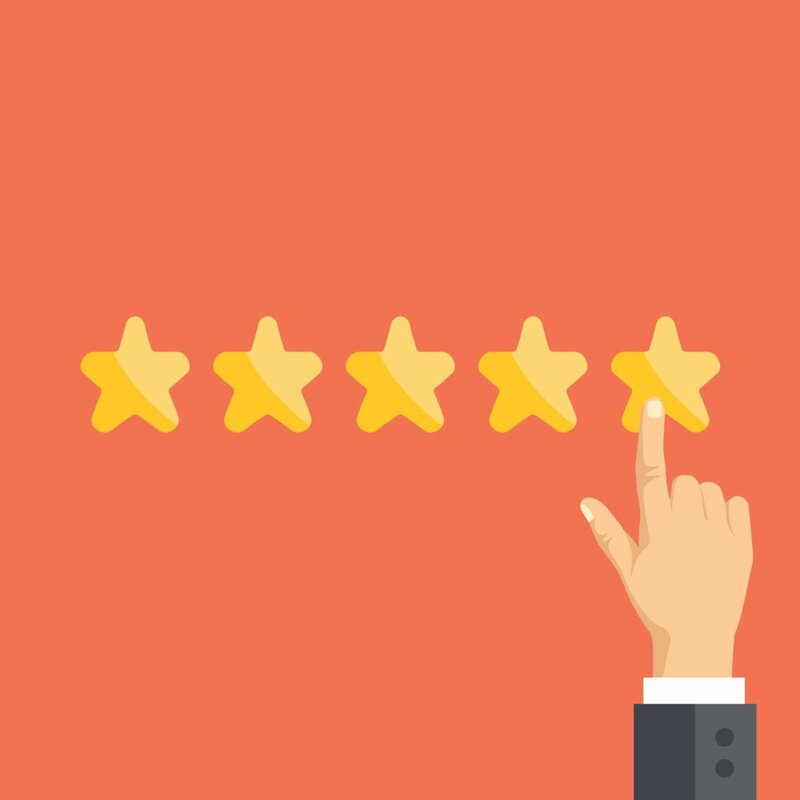 With an established reputation, your professional contractor will have a proven track record of quality work. 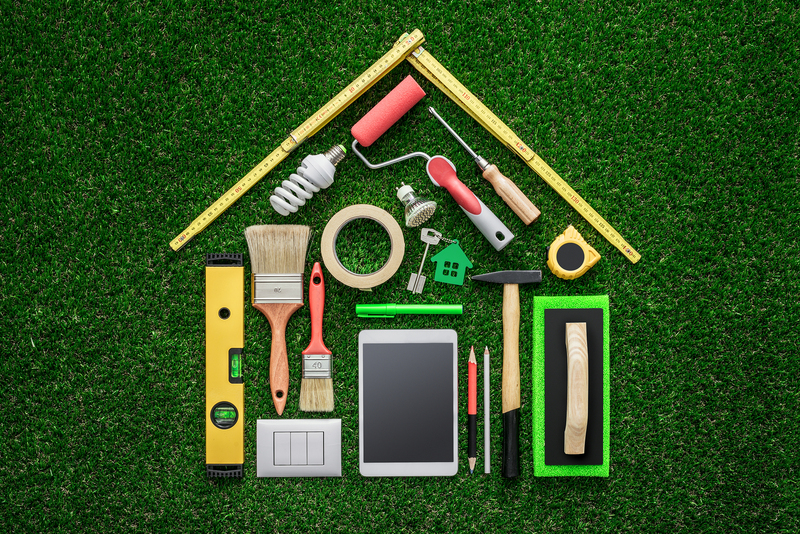 One of the biggest misconceptions of DIY projects is that they will take less time and cost you less money in the long run. But most of the time it will be the complete opposite. Hiring a professional contractor will save you time, money, and stress. In regards to time, a professional contractor will know how to properly schedule your project. A lot goes into thoroughly planning a construction project. 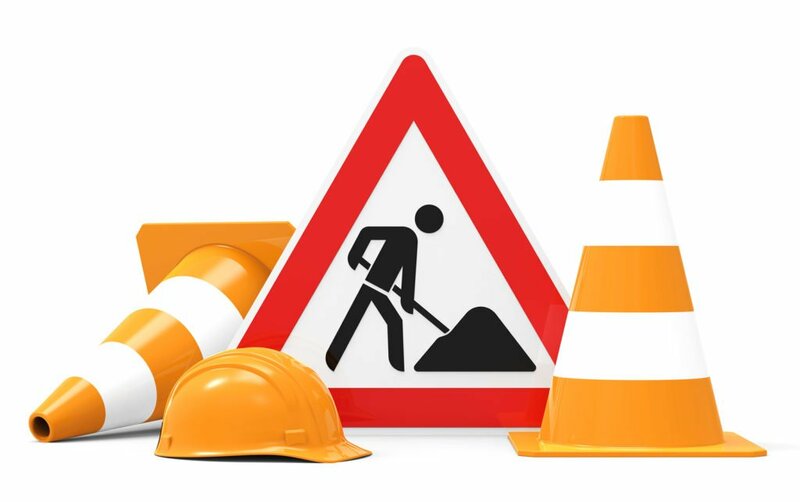 When you try to do it yourself, there is a good chance that you will forget important details of the project, which may delay your end date by days, weeks, or even months. Your contractor will have a detailed plan of the project and will be sure to communicate with you during each phase of construction. In regards to money, hiring a professional contractor will save on expenses in more than one way. First and foremost, a professional contractor will prevent most, if not all mistakes that could be made throughout the construction process. If you were to do it yourself, there is a good chance that you will make a few mistakes along the way. Mistakes can lead to major additional costs, so let a professional contractor do the job and prevent yourself from breaking the bank. Now you know how important it is to hire a professional contractor instead of trying to do a remodeling project on your own. But that’s not all that you need to know. 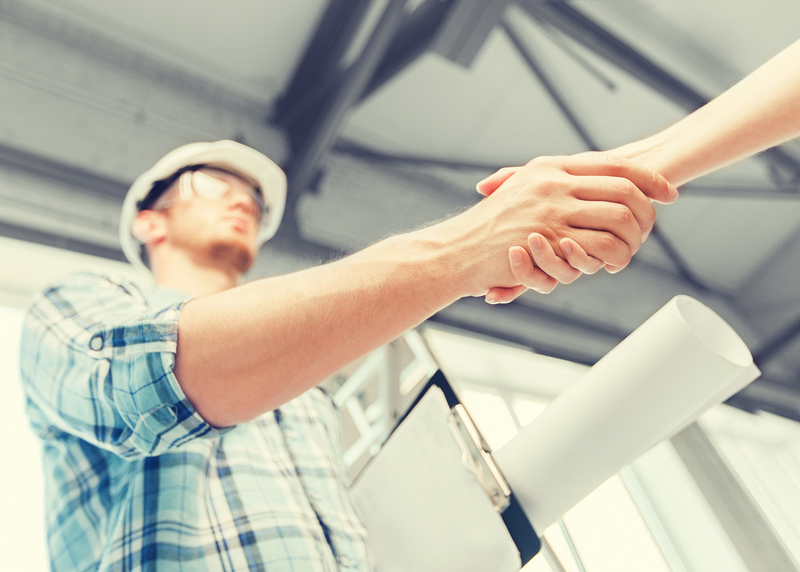 Once you’ve decided to hire a professional contractor, it is important to pick the right one. Monetti Custom Homes is the professional contractor you need and one that you can trust to get the job done right. 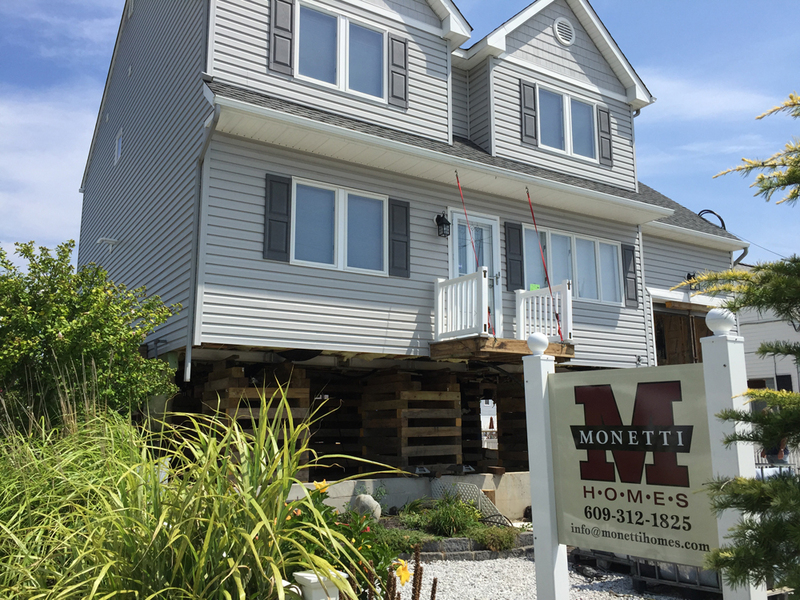 Since 1948, the Monetti family has had a tremendous reputation for quality custom home building and home restoration. We have the experience, skills, and attention to detail that will help bring your ideas to life. For some insight into our quality work, check out our portfolio of past projects. Contact us today to get started! Your home is where your life happens. It is also probably one of the largest investments you will ever make. At Monetti Homes, we understand that. A family owned business for over 65 years, we are dedicated to quality craftsmanship and personalized customer service. Monetti Homes is a full service construction company. We handle each job with strict attention to detail and the utmost professionalism, no matter how big or small. 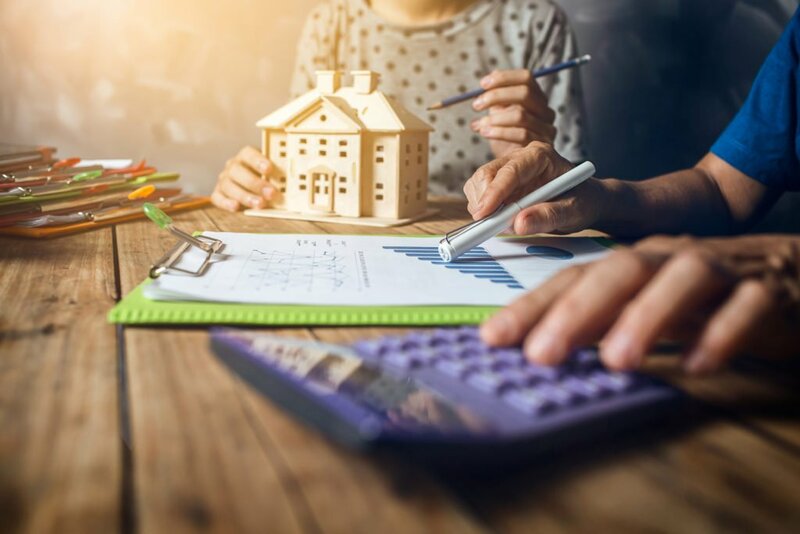 Whether you are building a brand new home, expanding your home to accommodate your growing family or just interested in making a few upgrades or repairs, we’ve got you covered. 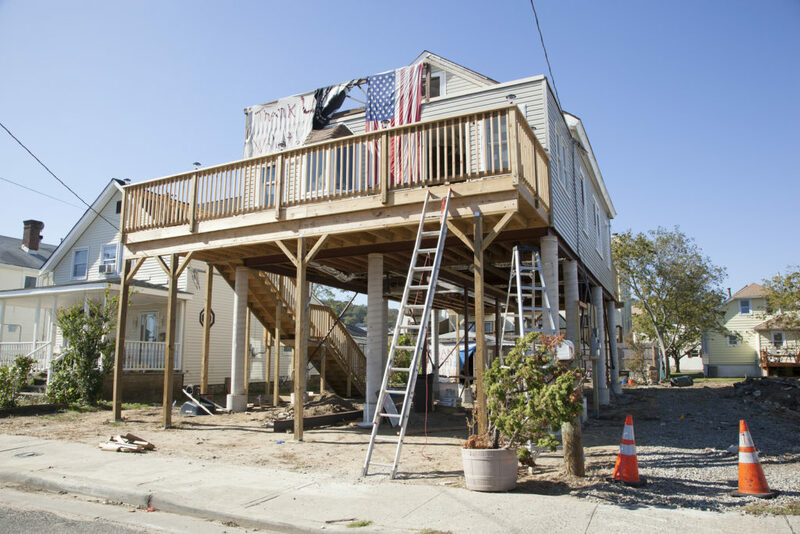 As an RREM certified contractor, we are equipped to handle the unique construction demands of the Jersey shore. We can raise your home to comply with FEMA regulations, municipal codes and insurance regulations. 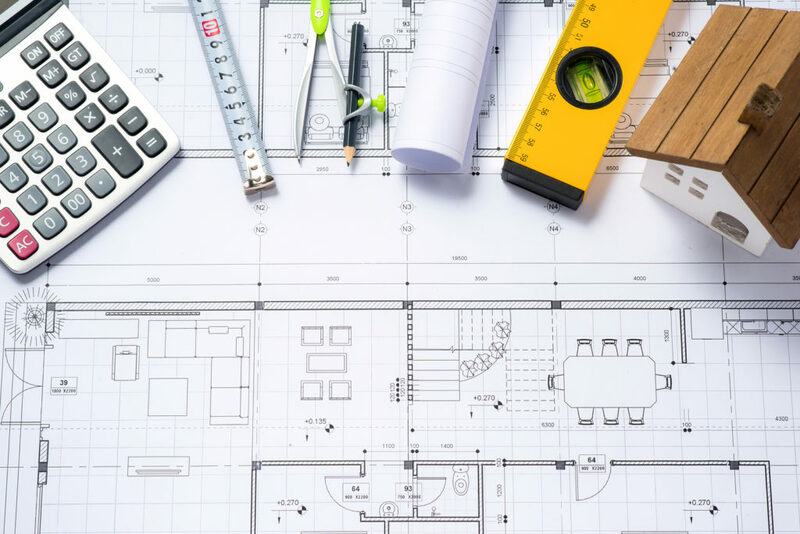 Regardless of the type or size of your project, we will explain the process from start to finish before we begin and will guide you through it every step of the way. Our goal is that you be completely satisfied and happy with the finished result. There isn’t any home construction job we aren’t prepared to tackle and look forward to getting started on your project! Contact us today to schedule your consultation.